Email marketing offers amazing opportunities for businesses, whether small, large or somewhere in between. Businesses use email marketing not only to reach current customers but also to reach prospects whether it’s in a B2B or B2C sense. People are almost always connected to their email account through their smartphones, so it can be much easier to make sure what you’re sending ends up right in front of them. In the modern era, people also tend to feel more comfortable with digital and email-based communication as opposed to something like phone calls. However, when you’re a business or a marketer who uses email to communicate, it’s important that you’re doing so in a way that’s compliant and ethical. Not being ethical in how you use email marketing and outreach, particularly when it’s cold outreach, can leave people with a bad impression of your efforts almost immediately. The following are some tips and things to know when it comes to compliance and ethics in relation to email marketing and outreach. 3 Why Do Compliance and Permission Matter? If you use something like Gmass which is a mass email and mail merge tool for Gmail, they make it very easy for people to unsubscribe from your emails. With Gmass you can add an unsubscribe link into all of your email marketing campaigns and it’s as simple as checking a box in your settings. Even if you don’t use Gmass, it’s important to include this in any emails that are promotional or have marketing content. If you’re emailing anyone that you don’t have regular contact with according to Gmass, it’s a good idea to go ahead and include the unsubscribe link. For example, if you’re cold-emailing a prospect, even if it’s not a mass email and it’s just a message to introduce yourself, it’s probably a good idea to include it. If you put a tool in place that makes it easy for people to unsubscribe, it can also make it easier on you as far as compliance and ethical email marketing because they’ll be automatically removed from your lists, and you don’t have to do in manually. The United States doesn’t have as stringent laws in place regarding data and consumer privacy and protection as the European Union, but there are still some legal guidelines that email marketers and businesses need to comply with. One example is the CAN-SPAM act, which outlines guidelines for commercial email messages. A lot of businesses incorrectly assume this only refers to bulk email, and that’s not the case. The specifics of this law are applicable to all commercial messages. This includes any email that’s promotional or advertorial in nature. This also includes emails that promote content found on sites that are commercial. There are no exceptions for B2B emails in the law either. Why Do Compliance and Permission Matter? A lot of businesses don’t understand that sending compliant, ethical emails and having permission to send them to particular recipients isn’t just about following the rules—it can be a matter of good business. If you’re sending emails only to people who have expressly permitted you to do so, in any context, it’s likely to improve your overall open and click-through rates. You’re going to see an improvement in ROI for your campaigns, and you won’t be marked as spam as often as you would be otherwise. If it seems like a lot of people are marking your messages as spam, it can lead your email provider to then send all of your campaigns right to a person’s spam folder. This means no one’s going to be getting them before too long. 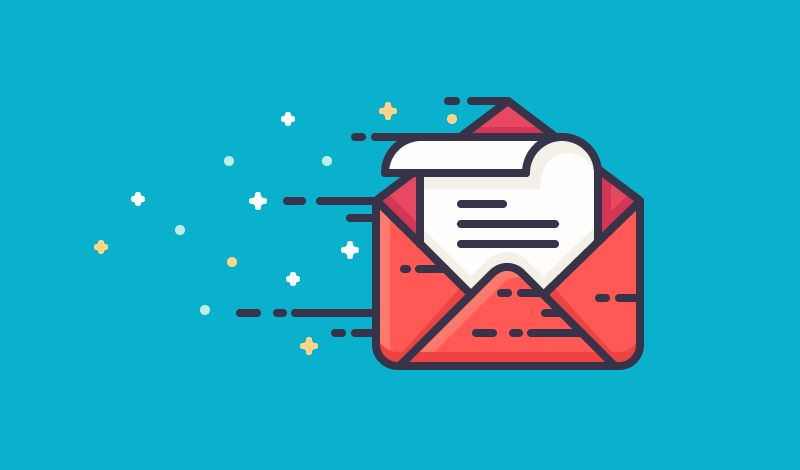 If you want to be compliant and improve the ROI of your campaigns, focus your efforts on getting people to give you their express permission to send emails. You can do this in different ways—for example, by providing them value or giving them something in exchange. If you can hone in on getting more people to agree to receive your emails, it’s a much better strategy than putting yourself in a possibly compromising situation by sending them without permission.